For the third, and final, Kraft Recipe Makers post, I decided to make the Tex-Mex Chicken Fajitas. I wanted to try all three cooking varieties that Kraft offered in the Recipe Makers. I had already made the Hickory BBQ Beef Sandwiches in the Slow Cooker and the Asian Fish Tacos in the oven, so I needed to try a skillet Recipe Maker. I LOVE Tex-Mex food, so the Tex-Mex Chicken Fajita was an obvious choice for me. 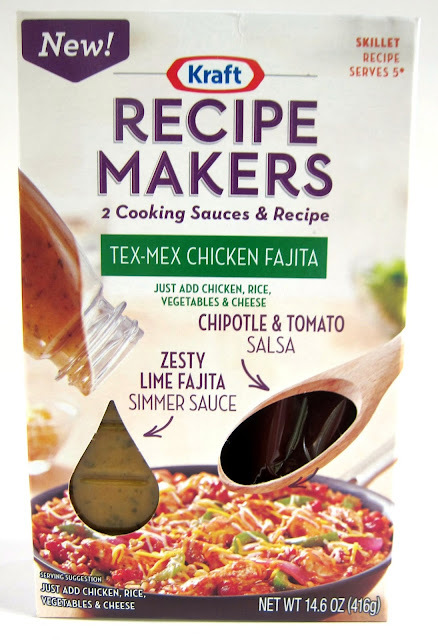 As with all the other Kraft Recipe Makers, the Tex-Mex Chicken Fajita included two complementary sauces and three recipes. I used the recipe that was on the back of the box and pictured on the front. This was so easy to make. I bought some chicken, red onion, green pepper, rice and cheese. Kraft did all the hard work for me. This took about 30 minutes to make. The house smelled amazing while this was cooking. The Zesty Lime Fajita Simmer Sauce was delicious. I could really taste the lime in the dish. The Chipotle and Tomato Salsa gave the dish a little kick! I could have never developed this much flavor in such a short amount of time without the help of Kraft Recipe Makers. Every single Kraft Recipe Makers I've tried has been out of this world delicious. No one would ever guess the meal wasn't made from scratch. I gave a couple of the varieties to my Mom to try, and she raved about them. We both agreed these were good enough to serve to company. Chicken Legs is amazed every time I serve one at how great they are. It makes me wonder why I don't make these every night for dinner. Even this project is over, I still plan on trying the rest of the Kraft Recipe Makers in my pantry. Up next is the New England Pot Roast and the Verde Chicken Enchiladas. I can't wait! Have I convinced you to try Kraft Recipe Makers yet? What dish would you create with these sauces? Share your recipe ideas using Kraft Recipe Makers’ two sauces in the comments below for a chance to win a $1,000 Visa Gift card! This sweepstakes runs from 9/23/13 - 10/27/13. Yum! 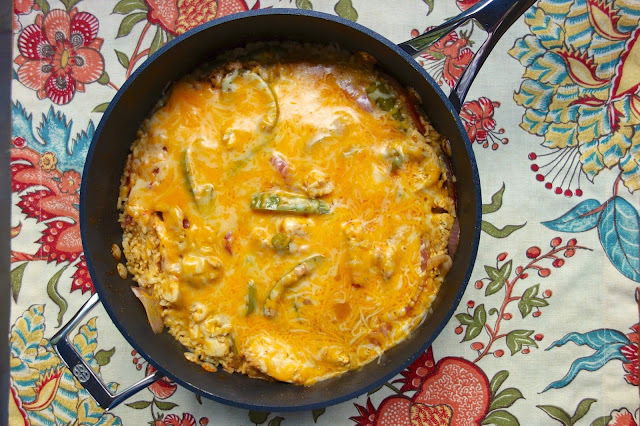 chicken enchiladas is a family favorite. I think I would try the Verde chicken enchiladas first and maybe just add some things to it. :) Yum! I would make the Hickory BBQ Beef in my crock pot! I would use the Asian one to make a stir-fry of some kind. I would use the Verde Enchilada kit to make chilaquiles! I would make the Chicken Bruschetta Pasta recipe!! Chicken enchiladas is a yummy favorite. I still want to try the fajitas. I would make them on my in door grill. Honestly I am not that into pre-packaged sauces. I would be interested to know what the ingredient list looks like. I didn't know these exsisted. I'm going to have to try the sweet and sour chicken! I would love to try the chicken enchilada pack to adapt in my chicken taquito recipe! Must. Have. New England Pot Roast. Yum! I'm so excited to try a set of sauces! The sweet and sour chicken sounds delish! 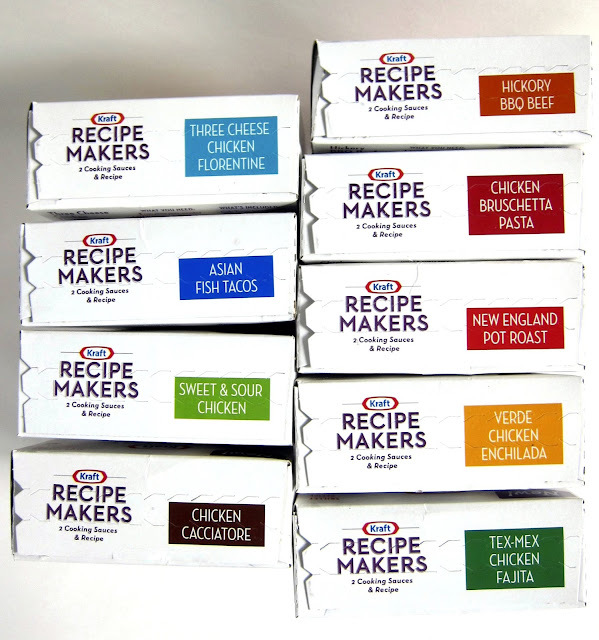 Great giveaway and I am looking forward to trying the Kraft Recipe Makers. I want to try the Hickory BBQ Beef to make some BBQ sliders! I adore the flavors of sweet and sour chicken, and would use the flavor packets to create a tasty "pork" version of this asian favorite and then make wraps using fresh cilantro, pineapple, and slaw mix. I have never seen these before! I would make Sweet and Sour Turkey Meatballs with lots of veggies! Those Tex-Mex Chicken Fajitas look delicious...can't wait to try them! added this recipe to this weekend grocery trip! thank you! Wow, this dish looks amazing! I will have to go get this sauce while I'm at the store next time! Thanks for introducing these to us! I would use the 3 cheese chicken florentine & make enchiladas! I would like to make the sweet n sour chicken. I bet this would be great! No more chinese take-out! WOW - what a great giveaway! I've heard you talk about these, but haven't taken the time to track them down in my grocery store. I would love to try the New Englad Pot Roast, the Chicken Brushetta Pasta or the Verde Chicken Enchiladas - they all sound delicious! Would love to try the Verde Chicken Enchiladas! I think I'd make a BBQ chicken baked sweet potato! I wanna make some pulled pork sandwiches with the hickory BBQ beef one. Yum! I'd love to try any of these. They all sound delish. They all look so yummy. I want to make a Florentine-Stuffed Chicken Breast using the Three Cheese Chicken Florentine. I would love to make the chicken enchiladas. Big family favorite! Those all sound amazing. I can't wait to try some. I want to try the New England Pot Roast. It sounds yummy. I'd make a yummy casserole with lots of rice and black beans. I'd use the New England Pot Roast sauces to make open-faced hot beef sandwiches served with mashed potatoes. Thanks! The majority of electric corporations will probably function some sort of credit history verify to view if the deposit becomes necessary if you attach a whole new program. The challenge having this is in the event a person having sub-standard credit history, or even simply no credit history in any respect, must attach program, your remains could be a strain for the banking account. I would love to try the Sweet & Sour chicken. My son just discovered he liked it so I think our family would enjoy it. I love easy dinners! Thanks for a great giveaway and recipe! I made the Chicken Cacciatore and served it over rice. It was delicious! When I took the leftovers for lunch, everyone wanted to know what restaurant it was from. They were surprised to find out it was Kraft Recipe Makers and that I made it in the crock pot. Tenant Tests is often a essential little bit of getting a tenant that will care for real estate as well as steering clear of issues with tenants just like late obligations, substantial turnover premiums, as well as break down involving home. I would love to make a barbeque sandwich with the Hickory BBQ Beef Sauce. I have made the new england pot roast and love it! Loving Southwestern flavors like I do, I would go after the Tex-Mex Fajita like you did and the Verde Chicken Enchilada as well. I would make the Asian fish tacos. I would make your Tex-Mex Chicken Fajitas for sure. They look great! This does sound amazing, all these do! And I am totally looking for quick and easy recipes to cook after work for my family. Can't wait to try!! Can't go wrong with fajitas! Sweet and Sour Chicken sounds fabulous! The Florentine to make spinach enchiladas! I love fish tacos, so the Recipe Markers I would try is the Asian Fish Tacos. It sounds delicious! I pinned the Kraft Recipe Makers Asian Fish Tacos, pin# 525654587728460584. I have some fresh tilapia on hand and this looks absolutely delicious. I would use the tex mex fajita but use shrimp. Yum! I'd make Sweet and Sour chicken - or maybe substitute shrimp. I'd add sugar snap peas and pineapple and serve over rice. I'd make Chicken Cacciatore. The lemon oregano sauce could also be used fro grilled greek chicken sprinkled with feta. 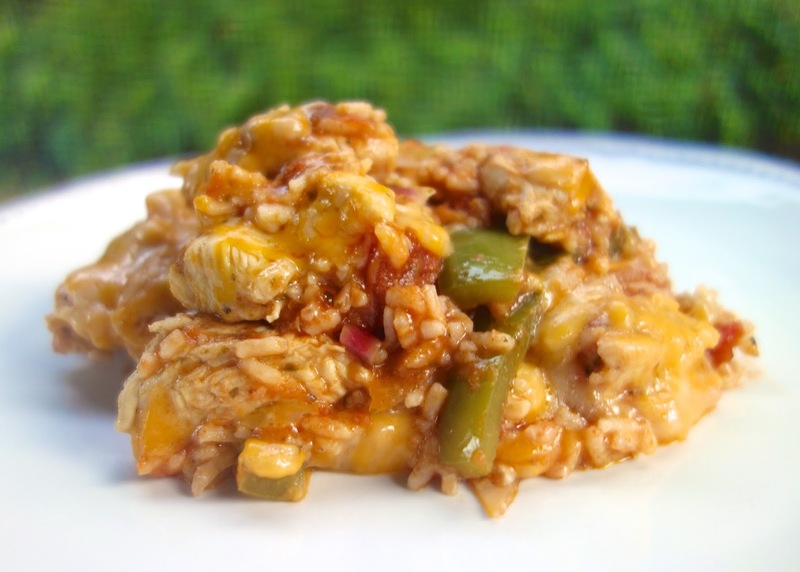 I am gonna use the Verde Chicken Enchilada Kraft Recipe Maker to make Green Chili Chicken Casserole this weekend. Wish me luck. Chicken Bruschetta Pasta is the best. I love making the Verde Nacho casserole. It's so easy and tastes so good. I think that the Asian Almond Salmon recipe with the Asian Fish Taco sauces would be really tasty if you made it vegetarian with some of the fake fish now on the market! Hi would make Hickory BBQ beef in the crock pot for BBQ beef sandwiches and Chicken Cacciatore in a stove top skillet using skinless boneless chicken breasts. I would use the Sweet & Sour Chicken with fresh chicken breast and white rice and I would try the BBQ Beef with King's Hawaiian Sweet Rolls for BBQ Slider! I would use the Hickory BBQ Beef to make sliders with - topping with sweet southern cole slaw! Would love to try any of these sauces! Yum, hard to decide, they all sound great!! I think I would start with the Tex Mex one. Thanks for telling us about this. Off to PIN! Oh my all of these sound delicious! I would have to try the bruschetta chicken pasta first! 3 Cheese Chicken Florentine served over a salad! I love chicken enchiladas & cannot wait to try the Chicken Verde Enchiladas!